Aluminum materials and cans are easy to collect and recycle, but most individuals throw them away. According to the Environmental Protection Agency, aluminum is infinitely recyclable which makes it a preferred material for balancing the demand of a growing economy in the entire world. 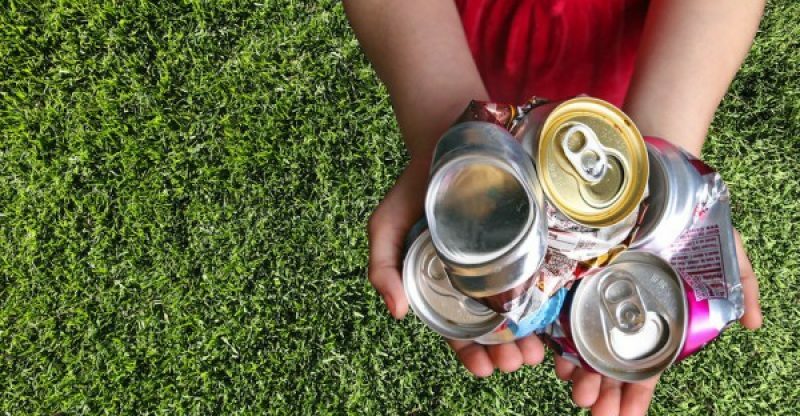 Recycling aluminum cans preserve the environment and save a considerable amount of energy. It also reduces the amount of carbon dioxide emissions and the amount of waste that is normally headed into landfills. Collecting your aluminum cans or materials for recycling is an essential step you can take in your life since 75% of all materials that were produced in the 1980s are still in use. By recycling these materials, you will be taking good care of our environment. Recycling aluminum cans provide a significant energy saving in various manufacturing sectors since it is cheaper to recycle the existing aluminum cans and materials than it is to extract it from the ore. About 90% of energy is saved during the recycling process. The amount of energy that is used to manufacture two aluminum cans is equal to what can be used to produce 60 of them when recycling is done. It is a high time when the globe is going green hence the need to look for alternatives that can help save the energy. Recycling aluminum cans require less energy and produce 95% fewer greenhouse gases when compared to manufacturing primary aluminum. Nowadays, the entire aluminum recycling industry prevents close to 170.0 million tons of greenhouse gases from entering the environment each year. Also, recycling of one ton of aluminum not only prevents the emission of about 9 tons of carbon dioxide gases into the environment but also reduces the use of natural chemicals and resources such as lime, aluminum fluoride, and caustic soda. This is the world’s most recycled packaging container. About 8 million aluminum packaging cans are sold every year, and each one of them can be recycled many times which saves on raw materials, energy, and wastes. Also, used aluminum beverage cans can be reproduced, recycled and remade ready for resale in about 60 days. In the whole year, one container can be recycled eight times which saves energy that can be used to make around 160 new aluminum cans. Manufacturing of one aluminum beverage container from raw materials can use the same energy that it takes to recycle about 20 of them. This means that recycling one aluminum beverage container can save enough energy that can be used to power your television for three to four hours. Close to 70% of all aluminum cans can be recycled, which makes it the world’s most reused and recycled product. Since the aluminum material is infinitely recyclable, it can be reused in various applications which is basically different from its previous usage, and also it can be recast into its original shape, size, and form. These aluminum properties make it an ideal metal material that can be used in various applications even after it has been recycled several times. Nearly 90 % of all beverage containers that are on the market are made of aluminum material, and the current recycling rate for aluminum beverage containers stands at 55%, so there is still a lot of aluminum material out there that recycling companies can collect and recycle. Jenna Mancinni is acting president of the community “Make it Shine” team; a project created by Jenna, in which community members come together to help businesses and the local senior community keep their properties clean by recycling, and composting. When “Make it Shine” isn’t taking up her time she likes to take in local theater productions with her husband and kids.